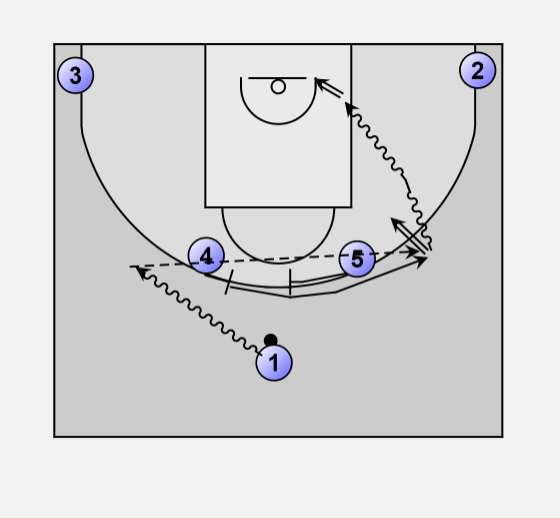 Horns side, double high, flare screen. 4 and 1 start with a side pick. Instead of rolling to the basket 4 gets a screen from 5 and receives the ball from 1 outside the 3-point area. 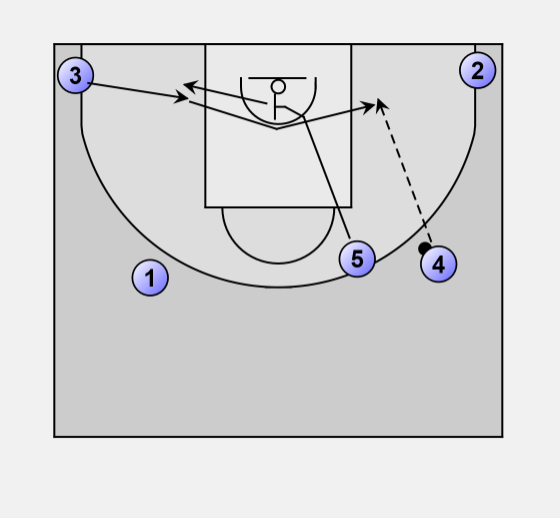 3 gets a baseline screen from 5 and post up in the low post. Pass from 4 to 3.